Need a nice place to stay in Pondicherry on your next vacation? Check into the Pied-A-Terre, a cute Airbnb in Pondicherry, that's close to Promenade Beach and White Town. 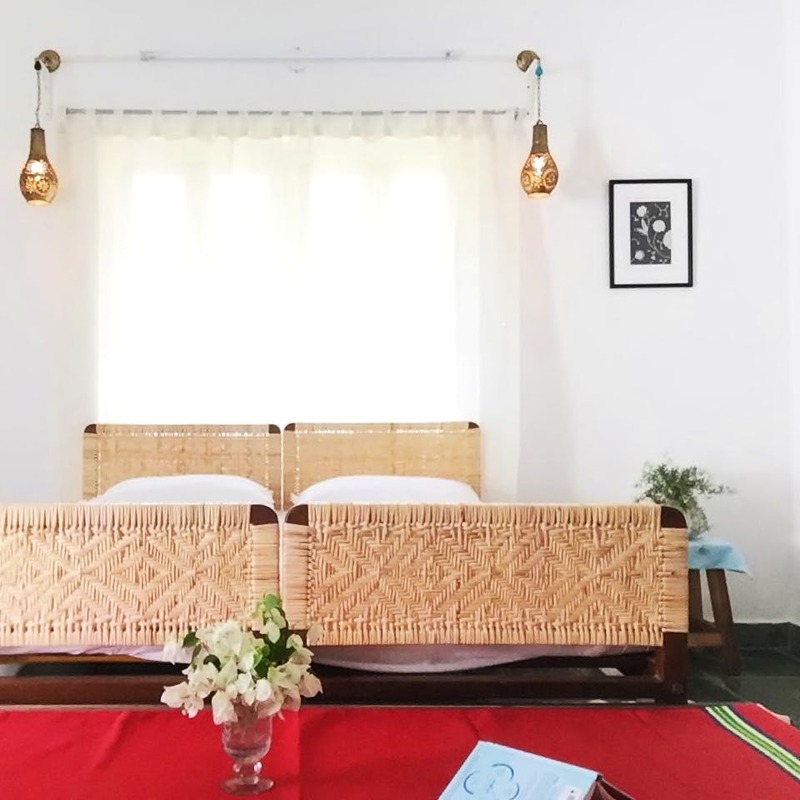 A cutesy studio apartment, the Pied-A-Terre is for folks who don't mind splurging a little bit on creature comforts while they are in sunny (and humid) Pondicherry. Along with AC, a kitchen, and a two-wheeler parking, the Airbnb is located in White Town, making it easy for you to explore Pondicherry's French side, by walking. No really, Promenade Beach is just about five minutes from the property and for breakfast, you've got the amazing Coromandel Cafe to head to. Or the ever popular Cafe Des Arts (part of our list of best cafes in Pondicherry) that's got some spot-on savoury crepes. Even the Sri Aurobindo Ashram is also a hop, skip, and jump away. For a studio apartment, it's spacious and with a lot of natural light coming in. Done with a very minimal Pinterest aesthetic with white walls adorned with frames and wall fixtures, it's a lovely postcard room. Since there's AC, should you find afternoons hot (which you will), you can always curl up on the sofa in the living room with a book. There's a balcony too, with rows of brightly coloured buildings serving as the view. Couples, if you are looking for a cosy little space, this one's definitely for you. Getting to the place can be a little tricky given that it's off the main street and there's a labyrinth of confusing roads and buildings that look all the same. Luckily for the host is super helpful, should you be lost or need help. If you are coming with more than two people, you have the option of booking out the entire building.